Composed of leaders from within the Partners’ network as well as the wider international development community, our Board of Directors exercises overall responsibility for the policies, programs and direction of Partners of the Americas. The board is designed to reflect the geographic diversity of our network and the broad range of community development issues that we address through solution-driven projects, with all members having a strong and demonstrated commitment to Partners’ mission and values. Harry Wing is the Chair for the International Board of Directors. He has been a member of a Partners chapter for 13 years, first with Antioquia-Massachusetts for two years and now for 11 years with Peru-Texas. Mr. Wing has served as Treasurer, Vice President, and now President of Peru Partners. He has also served as Vice Chair of the International Board of Directors of Partners since 2013. Mr. Wing brings over 50 years of development experience in the United States and Latin America, acting as a USAID agricultural economist for 28 years in LAC and an agricultural specialist with the Food and Agriculture Organization in the Dominican Republic. Previously, he served as a Peace Corps Volunteer in Colombia, working as a business advisor to credit unions, artisan associations, and agricultural cooperatives. Mr. Wing received a BA in economics from DePauw University at Greencastle and an MS in agricultural economics from the University of Wisconsin at Madison. 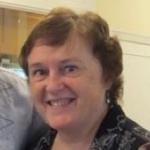 Dr. Carol P. Fimmen is the Vice Chair for the International Board of Directors. 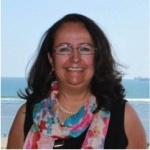 She also currently serves as the District Director of International Education at Alamo Colleges in Texas where she develops, coordinates, and supervises the international education programs for 5 community colleges in the district. Throughout her career, Dr. Fimmen has worked on a number of projects dealing with social capital, capacity building, and leadership in higher education. She is the recipient of many prestigious awards in her field, including the Khaladjan International Award for Innovation in Higher Education from the American Association of University Administrators, the Award for Excellence for Creative Academic Programs from National University Continuing Education Association, and the White House Award for Initiative on Educational Excellence for Youth Leadership. Dr. Paula Laschober serves as the Treasurer for both the International Board of Directors and the Foundation Board of Directors. Dr. Laschober has been a member of the Washington chapter of Partners of the Americas since 1989. She currently serves as the Chair of the Education and Social Development Committee and is an Executive Director. She has served in a variety of roles within the chapter since 1989 including the Chair of the Economic Development Committee, Vice President and President. She has also served on the Partners’ Interamerican Board of Directors and has attended more than ten annual international conventions since 1993. Previously, Dr. Laschober received the Kellogg International Fellowship in Community Development and has held the position of Chair of the Education and Social Development Committee. Mr. Jose Márcio Soares de Barros joined Partners of the Americas in 2003 and is the Secretary of the International Board of Directors and Chairman of the Board in the Espiritu Santo chapter in Brazil. Mr. Soares de Barros previously served the chapter as a project coordinator in joint efforts with the State of West Virginia in the areas of disaster prevention, high technology, youth programs, student exchanges, educational projects, and fundraising. He graduated with a degree in Economics from the Universidade Federal do Espirito Santo and completed post-graduate work in Finance at Clemson University in South Carolina. Dr. Denise M. Decker serves as a Director on the International Board of Directors. Dr. Decker began her work with Partners of the Americas in the 1980s, when she was a Disaster Assistance Officer for USAID. In that role, she helped Partners and similar organizations in providing disaster training. Dr. Decker then held an International Fellowship with Partners in which she wrote and implemented workshops to teach independent living skills to people with disabilities living in Brasilia, Brazil. Partners went on to use her workshop in eight other Latin American countries and awarded Dr. Decker the Program Development Award for her hard work and stunning contributions. Along with her continuing involvement with Partners, Dr. Decker is a senior program analyst for the USDA Natural Resources Conservation Service and was appointed to the DC Commission on People with Disabilities. 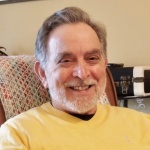 Dr. Sam Drew's career spanned 42 years in business and education. As an educator he held administrative leadership positions at the local, state and national levels. During that time he earned Mott and Ford Fellowships to do independent study. He retired in 2012 as Executive Director of the National Dropout Prevention Center at Clemson University. 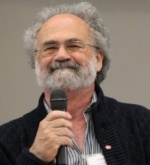 In retirement, Sam serves on several non-profit boards, including Vice President of the Institute for Evidence-Based Decision-Making in Education (EDIE), Director of the SC World Affairs Council, and South Carolina/SW Colombia Partners of the Americas where he is a past President and current Executive Director. Sam's hobbies are guitar playing, guitar building, woodworking, and astronomy. He lives in Columbia, SC with his wife, Mary. They have two children and two grandchildren with a third on the way. Dr. Gary Heusel is currently the Program Leader and CEO of Global Andragogical, an organization that offers opportunities for young adults from the U.S. and Brazil to study abroad. In his role he provides consultation and leadership to develop and deliver educational programs in communities, states and nations with on-site assistance after the community declares a priority needs to be addressed. Successes within his program include development and implementation of a youth development program in Armenia, a volunteer center in Brasilia, Brazil, and a multi-state character education program in Brazil. 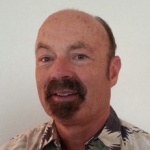 Prior to his involvement with Global Andragogical, Dr. Heusel worked for a variety of similar organizations including the University of Hawaii College of Tropical Agriculture and Human Resources, the Midwest Consortium for Service-Learning in Higher Education, a program under the United States Department of Agriculture, 4-H and Cook County Chicago. Dr. Heusel obtained his undergraduate degree from the University of Illinois in Animal Science. He obtained his graduate degree from the University of Illinois in Guidance and Counselling. And, he obtained his doctoral degree also from the University of Illinois in Human Resource Development. Dr. Heusel served as President of the Nebraska Chapter of Partners of the Americas from mid-2000 to mid-2002. He is currently a member of the Brookings Art Council, the Brookings Human Relations Commission, the Southern Poverty Law Center and serves on the Board of Directors of the Northeast Family Center. Ms. Heather Martinez Lezcano works at VC, Inc. supporting their risk management and customer service functions. She has previously consulted with Partners for the Panama Teacher Program reviewing counterpart reports. 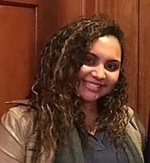 Ms. Martinez Lezcano helped young adults with disabilities improve their lives through workshops and gatherings organized by FLJADIS Panama in 2012. Ms. Martinez Lezcano has been the president of Partners Campus Panama since 2015. She advises on the Board's policy, finance, programs and personnel. She also enhances relationships with other community groups and agencies. Ms. Martinez Lezcano graduated from the National University of Panama with a degree in Business Administration. 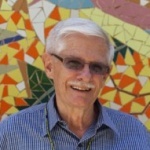 Dr. Francis Wardle is a Professor of Education at the University of Phoenix in Colorado and online. In his role, Dr. Wardle has taught graduate-level courses in Counselor Education, Educational Administration and Educational Leadership. Dr. Wardle graduated with a B.S. in Art Education from the Pennsylvania State University. He graduated with a M.S. in Cultural and Philosophical Foundation of Education from the University of Wisconsin-Milwaukee and a Ph.D. in Curriculum and Instruction with a specialty in Early Childhood Education from the University of Kansas. Dr. Wardle is also trained and has participated in workshops on ADA, sexual harassment policies, grant writing, research ethics, diversity, coaching and training, children with special needs, working with parents, administering volunteer organizations, federal regulations, international education, not-for-profit organizations and management. Dr. Wardle published the journal article, "Adding to Our View of Early Childhood Multicultural Education" in Childhood Education in August 2018. He further wrote the book, Oh Boy! Strategies for Teaching Boys in Early Childhood, in December 2018 about the struggles young boys have in early childhood programs and elementary schools. 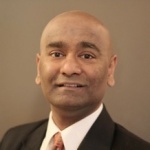 Dr. Ashish Abraham is currently the President of Abraham Strategic Health Consulting, providing clients with consulting services in the areas of organizational strategy, revenue optimization, health program design, operations, quality measurement and improvement. Dr. Abraham is an entrepreneur and a seasoned healthcare management executive with more than 20 years of diversified experience in direct clinical care, healthcare operations, health technology, data analytics and strategic consulting for government and commercial clients. Prior to his work at UnitedHealth Group, Dr. Abraham was a Principal and Physician-Leader at Mercer Consulting. In 2007, Dr. Abraham co-founded Altruista Health, a care management technology and solutions’ company and served as the founding CEO in the formative years of the company’s existence. He then went on to serve as President and Chairman of the board and is still actively involved on the board of Altruista Health under its new ownership. Dr. Abraham completed his medical training from Christian Medical College in India and has also earned masters degrees in business administration and health administration from Arizona State University. With over two decades of experience in organizational leadership, John is a seasoned expert in partnership building, strategic planning, and stakeholder engagement. He is passionate about community development in Latin America and served as a Peace Corps volunteer in El Salvador. After his service, he remained in the country for a total of over fifteen years, marrying a Salvadoran doctor and raising their three daughters. 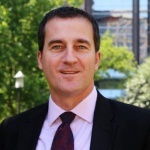 John brings significant experience as a country and regional director for international nonprofits including Save the Children, World Vision, and Project Concern International. He has held leadership positions on the Boards of numerous local nonprofits and associations in El Salvador, providing operational and strategic direction. He coordinated or co-coordinated multiple national and regional networks in Central America in health, water & sanitation and agriculture/food security. John received a BSc in Civil Engineering from MIT and a Master's in Civil Engineering from the University of Illinois / Urbana-Champaign. He is fluent in Spanish and has a working knowledge of French. John enjoys listening to music, reading, playing volleyball and frisbee, and spending time with his family. The International Board meets quarterly with each member serving on a minimum of two committees. Traditionally, one-third of the International Board’s members are elected each year for a three-year term of office. Please login or join PartnersConnect to learn more about this process.